/ What Is Search Engine Optimisation (SEO)? It’s Time to Stop Hiding. You need to find out exactly what Search Engine Optimisation (SEO) is and why it is so important for your company website. As soon as some business owners hear the term Search Engine Optimisation their eyes glaze over and the shutters come down. They are just not interested. These tend to be the business owners who dismiss the Internet and try to ignore it, fooling themselves into thinking that it isn’t really happening. On the other hand, there are some business owners who either find the internet too confusing or simply don’t think they have the time to learn how to promote their website online. If you fall into the latter category, then we invite you to take a few minutes over a cup of coffee to find out what SEO is and how your business will benefit by attracting more customers. SEO is simply the process of optimising your website so that it ranks well on search engine result pages such as Google, Yahoo and Bing, enabling people searching for products or services that you provide to find you and buy from you. You want your website to be found on the search engines by people looking for your products or services. The fact is there may be thousands of websites out there all offering the same or similar products or services. You want your website to stand out and be ranked above all of the other sites and pages so that the person searching online can find you. The way you achieve this is by making your page or site relevant to what people are looking for. When someone types a word or phrase into search engines (like Google) looking for your product, you want to appear on the first page of the search results listings on search engines. There are literally billions of different websites that are relevant to the search query, but really, if your website doesn’t appear in the first 10 pages (or first 100 results), it’s virtually invisible to the world. Ideally you need to be on page one…or at worst, page 2. If not you will never be found because visitors very rarely go beyond page 2. Why Can’t The Search Engines Find My Website Without SEO? Search engines like Google, Yahoo and Bing are very sophisticated but they still need help. The developers are constantly working on and improving the technology behind the search engines so that they can crawl round your web site more deeply in order to give better results to the people using their search sites. However, there is a limit to how search engines can operate. As a result the search engines reward the web sites that help them out with good SEO by promoting their sites above the ones that make things more difficult for their technology by not optimising their sites. This means that with the right SEO, you can attract thousands more visitors to your site, resulting in more sales, whereas the sites that don’t bother are hidden and buried deep in the results making it much, much harder to be found. As the amount of sites increase on a daily basis, the internet is becoming even more competitive. The companies who perform SEO have the distinct advantage by being able to attract more visitors and customers. The world of Search Engine Optimisation is very complex, but as we have hopefully just proven in the information in this short article, most people can easily understand the basics. Even a small amount of knowledge like you have gained today can make a big difference. To be honest, there is a lot of information about putting SEO strategies into place available for free on the Internet. 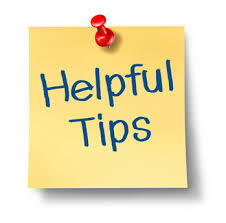 By applying some of the tips, you can make a difference to your search ranking. It all depends on how much time you can commit to SEO on top of running your business. You also need a willingness to learn and have to have a basic understanding of how your website works. You may decide, like many other companies that it is best to hire an expert to effectively handle your SEO instead while you concentrate on doing what you do best and running your company. Whichever option you choose, the important thing is to do something….and to do it soon. For a quick test to impress how urgently you need to take action, do a search online for your business. Don’t just do a search for your name, but type in the same words and phrases that potential customers might use if they were to look for products or services that you provide. If you don’t appear on the first two pages then you desperately need to start thinking about SEO either by implementing some SEO strategies yourself or by using a professional company like ours. Give us a call or email us today to find out how we can make sure that your site is seen by everybody who looks for products and services that you provide, so that they buy from you and not your competitors. Brian O’Grady is the founder and director of Flarecom Digital Marketing Sydney. Flarecom is a search engine marketing agency based in Sydney’s inner west. We offer a range of Internet marketing, Pay per click (PPC) & SEO consulting services to ensure long-term success for your organisation. Please visit our website to subscribe to our FREE Monthly SEO & Digital Marketing Magazine.